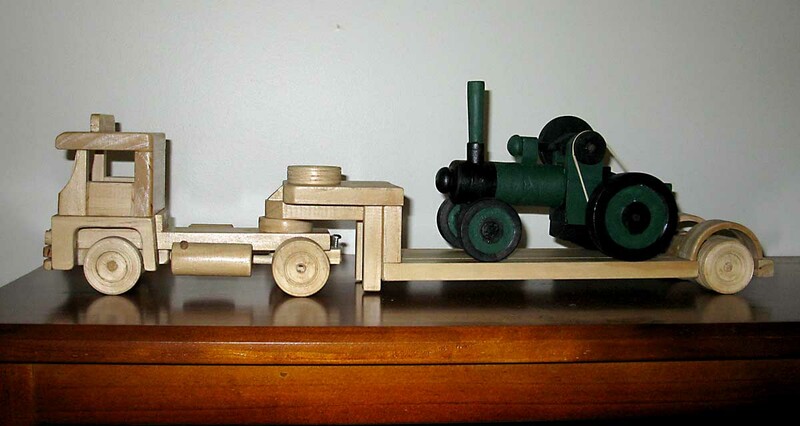 Aschi's Workshop is showing here wooden toys made from Aschi's Workshop Plans. 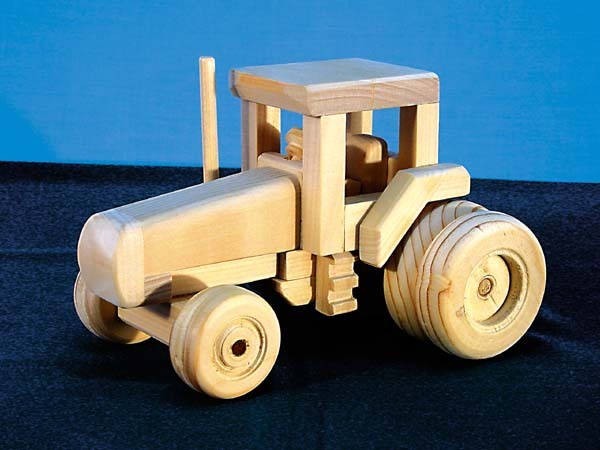 Aschi welcomes everyone to distribute to this page with pictures from wooden toys made from Aschi's Workshop Plans. 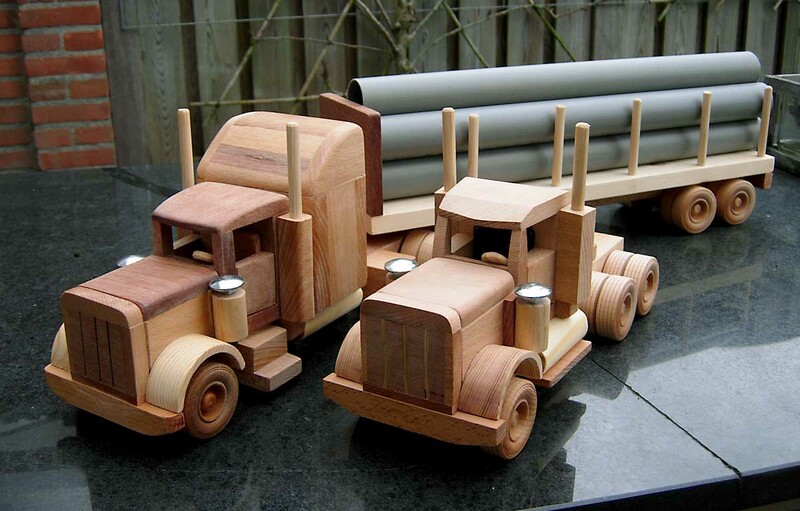 Aschi endavours to make this to the largest page for home made wooden toys on the net. Check out Aschi's Workshop Plans. Over 100 patterns and plans to choose from. Free Plans and workshop tips...... click here. Aschi has built a new Model for the Tuff Truck Scale 1:20 the Tipper Trailer can be used as Semi-Trailer or, equipped with a Dolly, as Dog-Trailer. Two Trailers hooked up to the Road Tractors from Aschi's Plan #209. 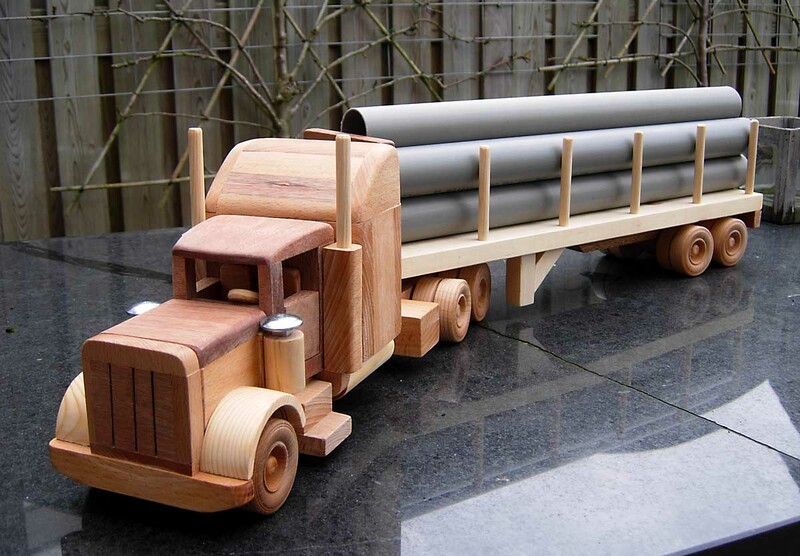 A Road Train model up to 4 ft long. all plans are from Aschi's Workshop. Bob Tribolet from the Gold Coast / Australia has submitted pictures from the LandRovers he made from Aschi's Workshop plan #188. Right: The FREE DOZER plan is still a favorite with everyone. 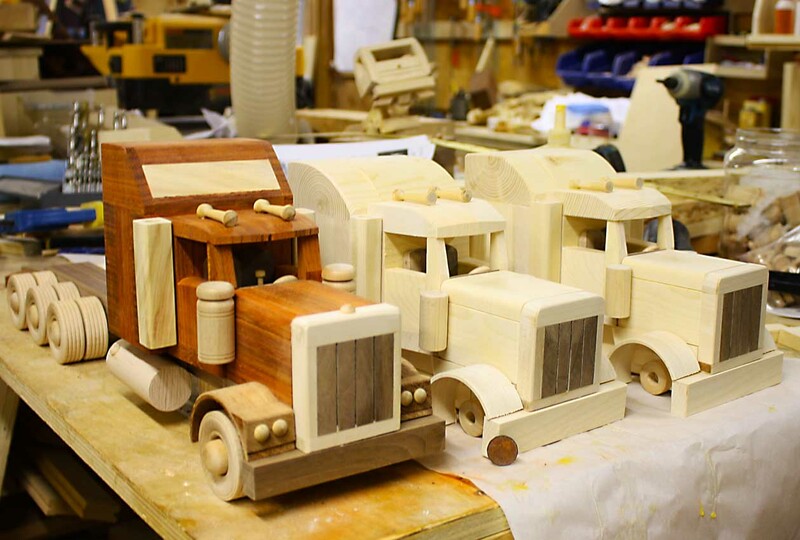 Brian Scammell from Canada is building toys for the Christmas markets. Some to sell, some to give away for charity. 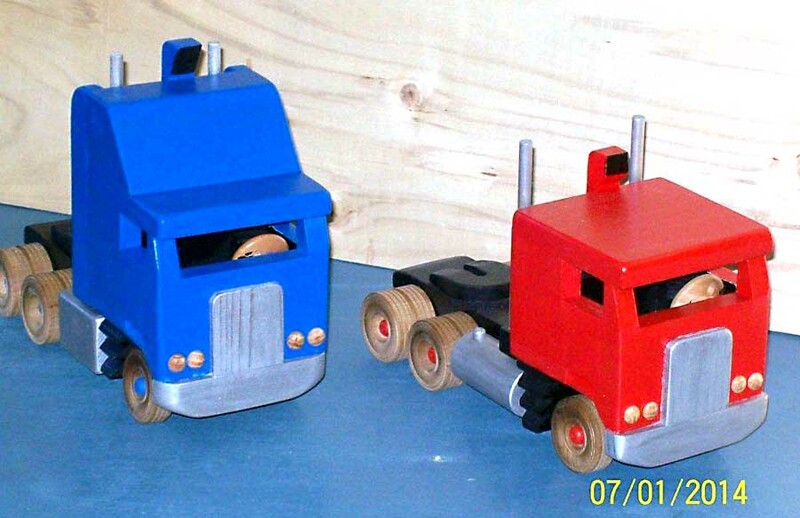 Brian made these Road Tractors from Aschi's Workshop plan #171. Replicas of the famouse COE's with 3 different sleeper cabs. This plan is certainly a winner, thanks again. PS. I'm currently in Queenstown, New Zealand (not Cleveland, UK as previously listed. Bob Tribolet from the Gold Coast in Queensland/ Australia has submitted pictures of his super model. ". 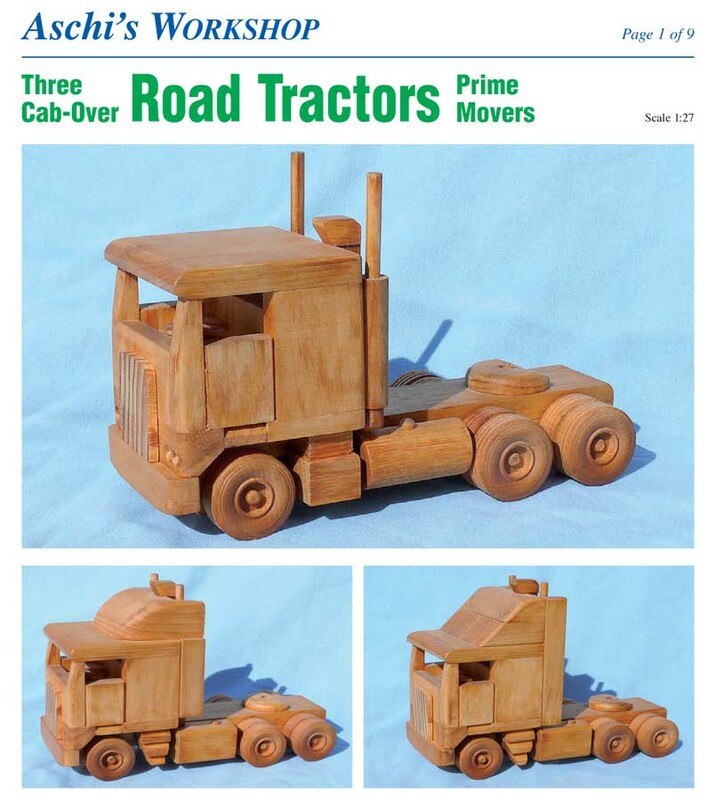 I am really happy how it turned out..."
Bob has built this Big Rig from Aschi's Workshop plan #197. The Custom Rig is from the Tuff Truck Series in scale 1:20. 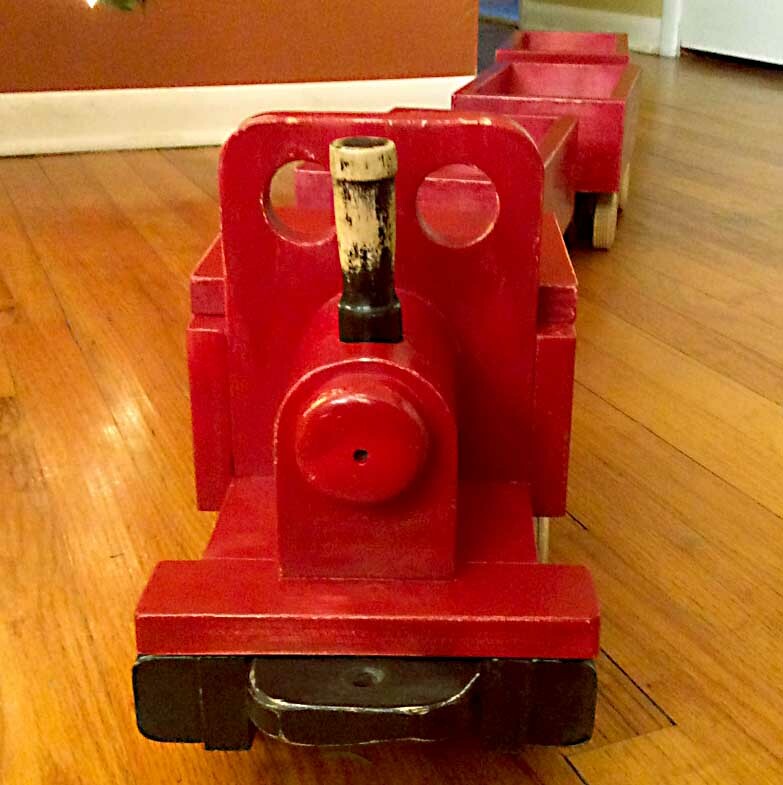 Pat Smith from California: Peter, As promised—here are a few of the last batch of trains and trucks. Now I’m done for a while with trains!! 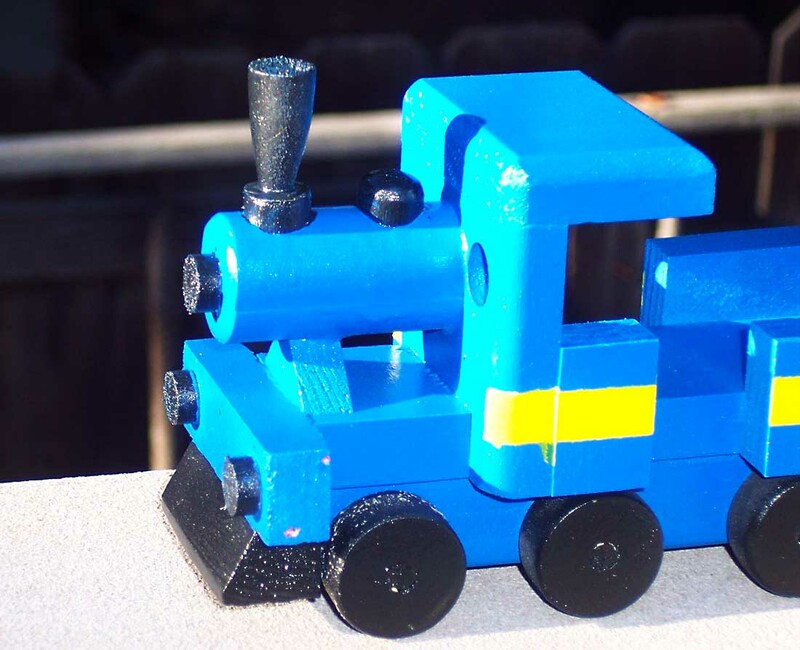 The Trains are painted with a water based Acrylic and clear coated with a coat of Polyurethane water based gloss. The plan for the train is #199 and the plan for the Fire Engine is FREE. All from Aschi's Workshop. 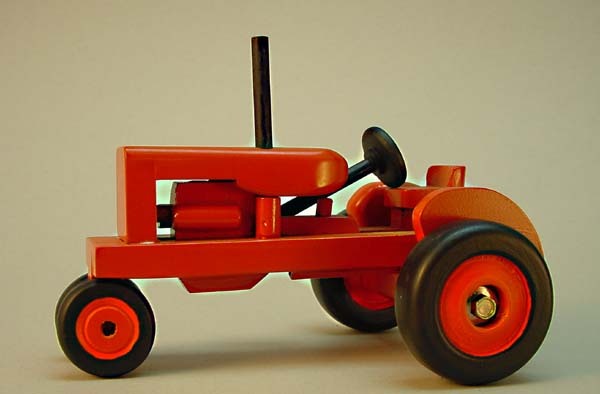 I had many hours of fun building your US Trucks. Now my grandson has many hours of fun in the role of Trucking company. 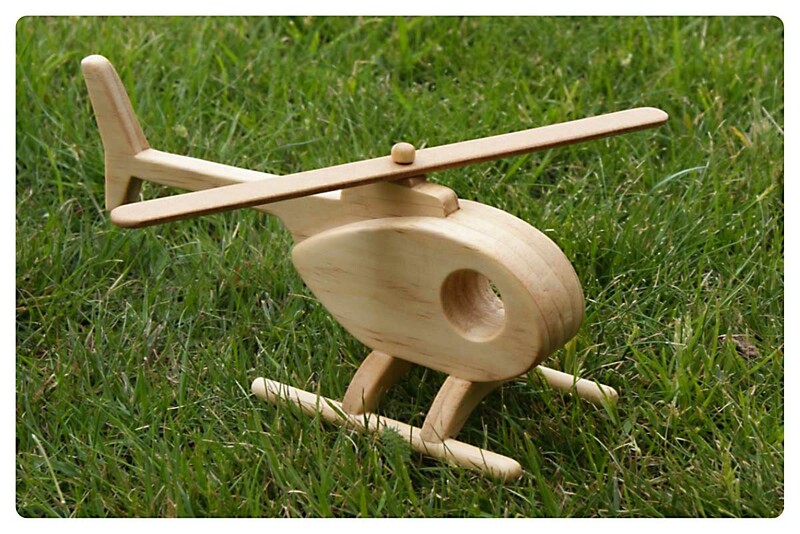 Paul Jobbins from Cleveland, UK: Finally got round making the Aero Racer (183) and the Light Chopper (186) models. Both set of plans were easy to follow and have produced results that my son and his friend aredelighted with! Check out Aschi's Workshop AERO page. Easy to build and lots of fun. Ed Copping from Canada has sent the first pictures from Christmas 2013. Ed's grandson is a very happy chap. The train is made from Aschi's plans 129, 130, 131, 159,168. "BL Truck." - This is a combination of your Cab Over plan #171 and Trailer Plan #187. I work part time for a Christmas Tree grower here in Quebec . We deliver trees using 53 foot, drop deck trailers. Company name is BL Christmas Trees so I added "B-L" cutouts on front of trailer. Super model for the writing desk or sturdy toy, Aschi's Workshop has plans for. 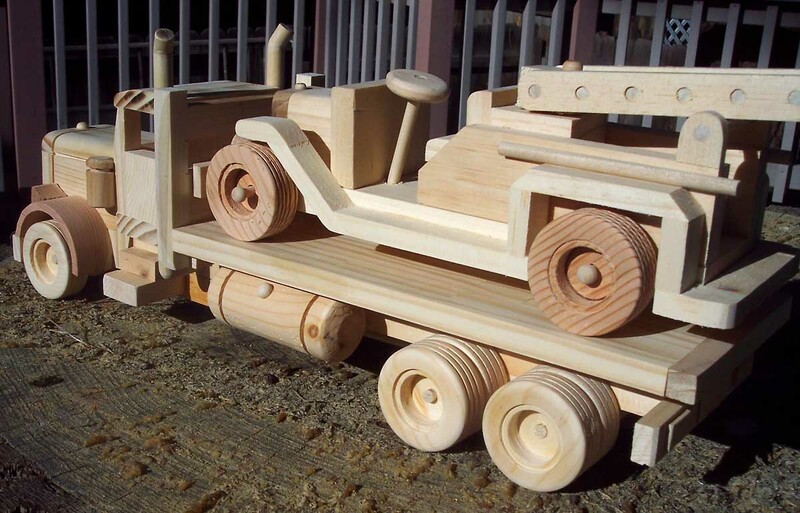 Pat Smith from California is making a great number of wooden toy trains. some natural wood, some painted. Pat is using Aschi's Workshop Plan #199 and makes some alteration. 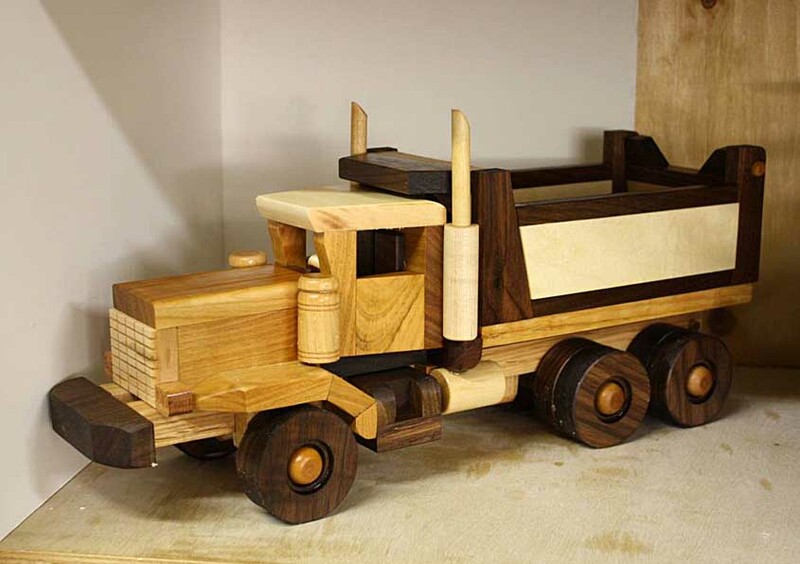 Thomas Little from Rocky Mtn House, Alberta, Canada is making toys to order. Thomas is using Aschi's plans and makes alterations to suit the customers wishes. 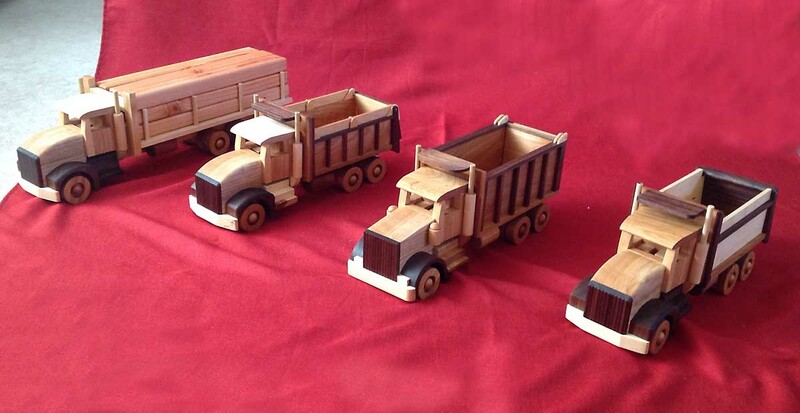 Gerhard Sachse from Leipzig / Germany is making Wooden Toys, using plywood. Pat Smith from California has made 36 Fire Trucks from Aschi's FREE PLAN #212. Pat has made also a Hot Rod version of the Fire Truck. See also the Fire Truck Page. Thomas Scheumann has built the colorful fleet from Aschi's Plans. 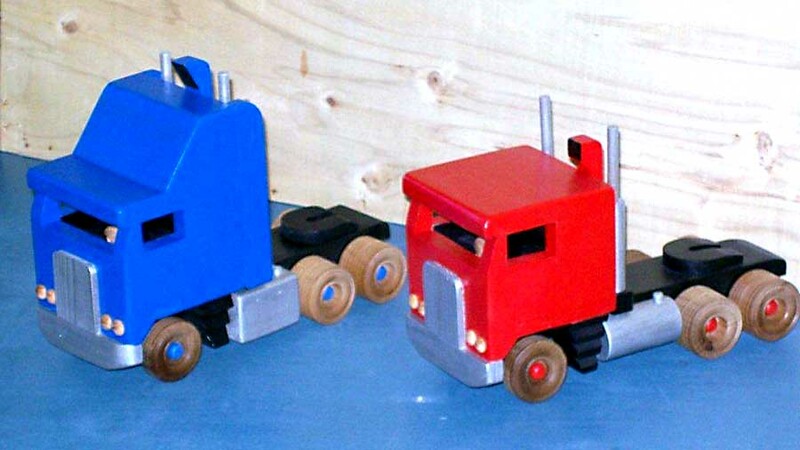 Thomas also builds truck models. 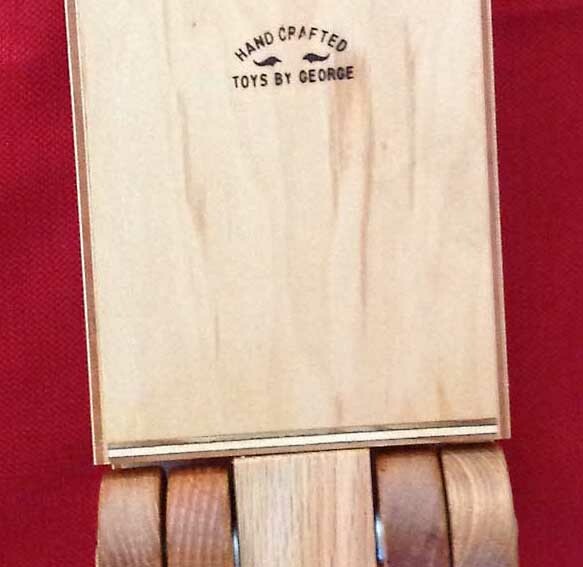 George Waite from Atwood, Co. USA, is a professioneller toymaker. George built the model from Aschi's Workshop plans and makes alterations.